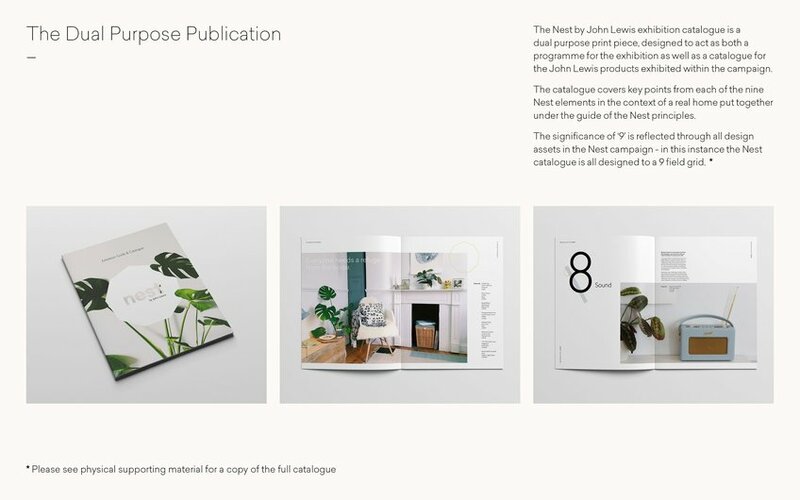 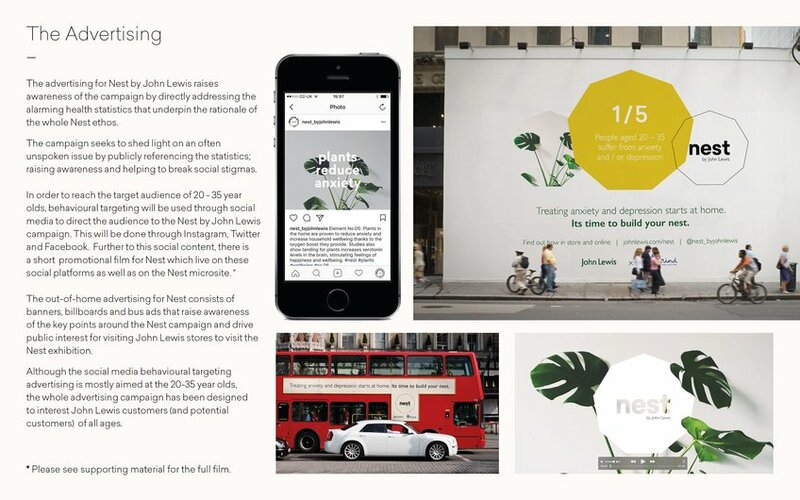 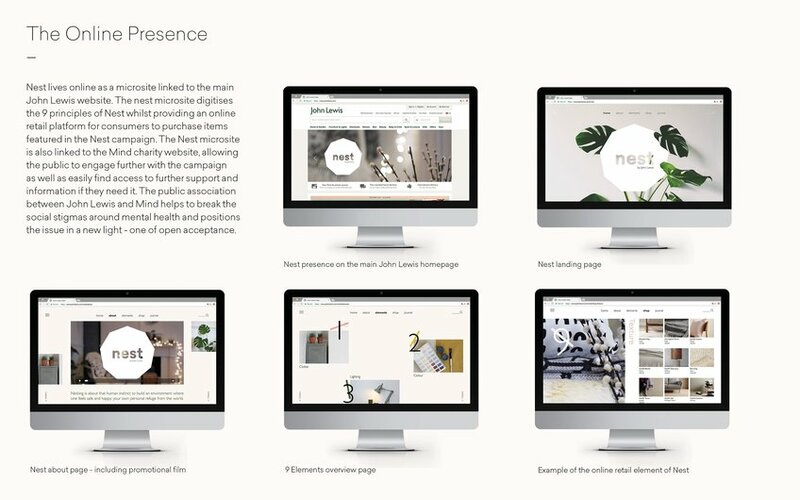 Nest by John Lewis is an integrated campaign created in collaboration with the mental health charity Mind, with the purpose of demonstrating how your home environment directly affects your mental health and wellbeing. 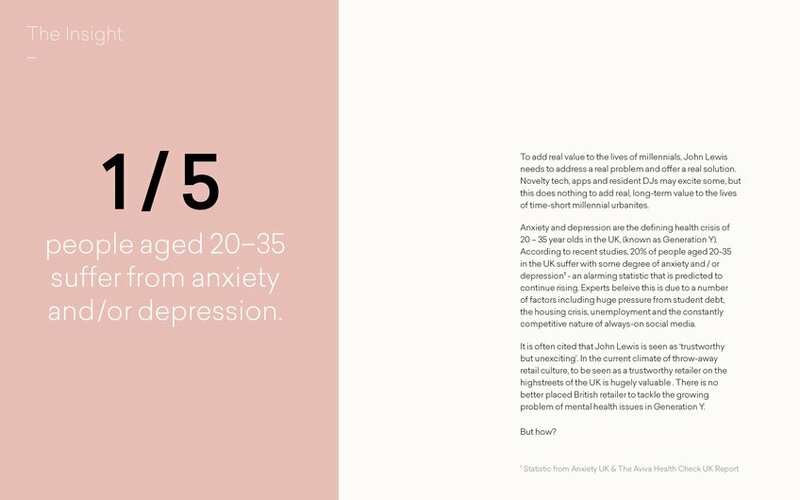 Anxiety and depression have been named the defining health crisis of the millennial generation. 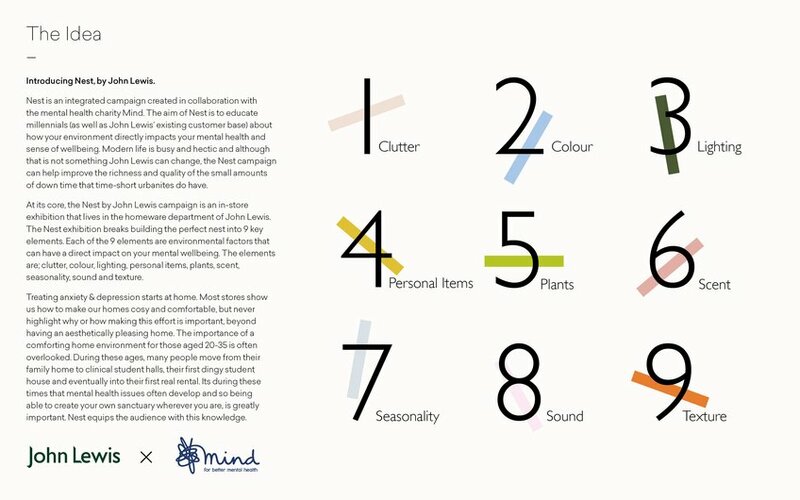 1 in 5 of 20-35 year olds currently suffer with anxiety and / or depression in the UK - an issue that still isn't being publicly addressed. 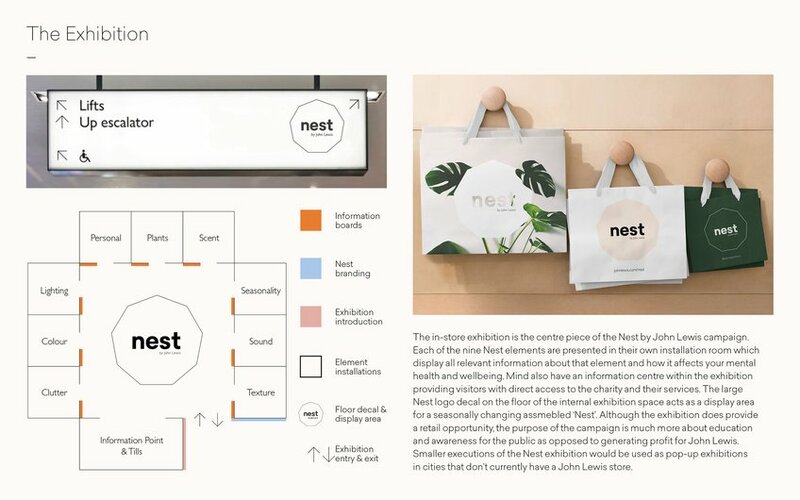 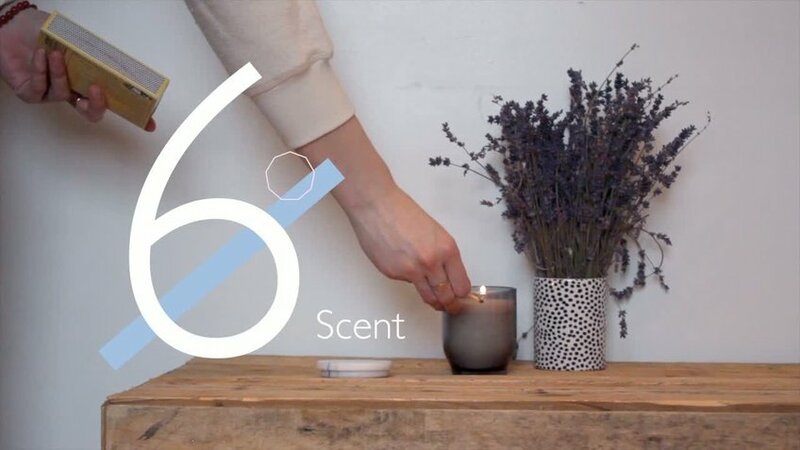 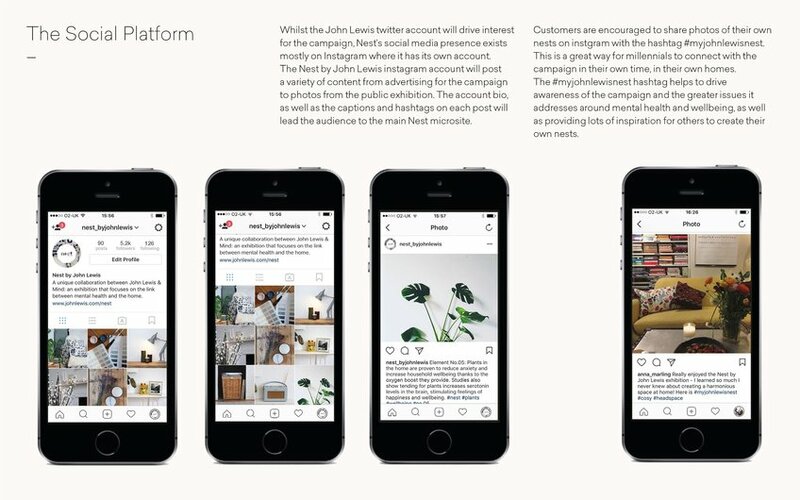 Through Nest, John Lewis is able to add real value to the lives of time-short urbanites by addressing a real problem and offering a real solution.